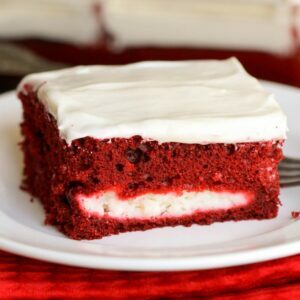 Red Velvet Cheesecake Cake is filled with a delicious cream cheese layer in the center and topped with a homemade cream cheese frosting making it a delicious dessert to enjoy all year long. 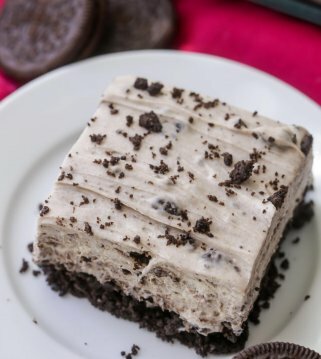 We all know that desserts are the BEST, and we love sharing with you all of our favorite tried and true concoctions, especially as they concern the sweet side. 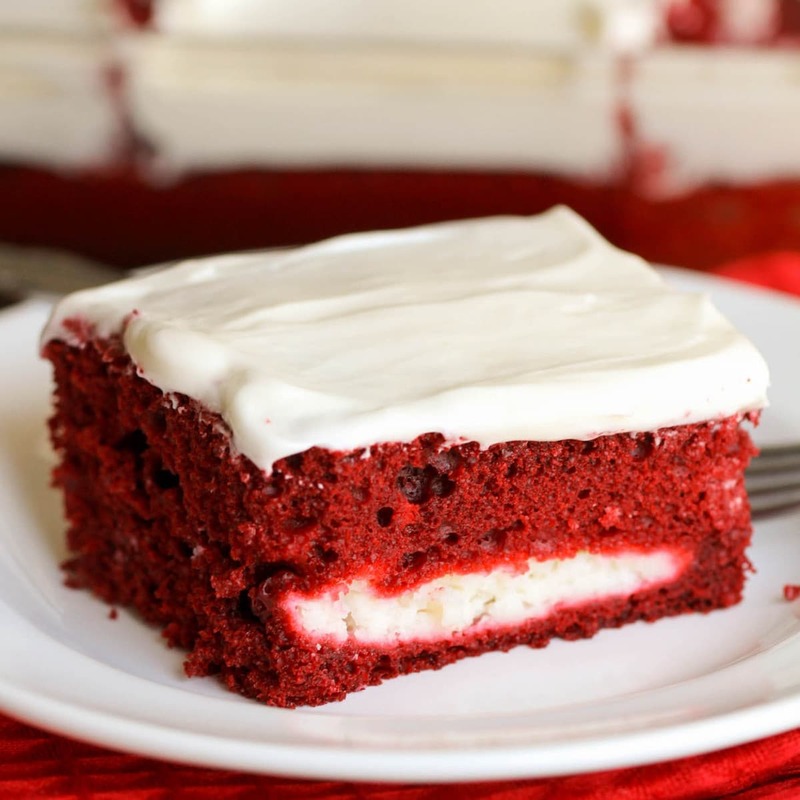 Today, we wanted to share with you a new recipe for Red Velvet Cheesecake Cake, which combines two of our favorite things – red velvet cake + cheesecake. This recipe is so easy and so flavorful that we know you’ll love it. With dollops of cream cheese/cheesecake goodness swirled through out this cake, it makes for a simple yet delicious cake to make for holidays and get together. This cake really is very simple. 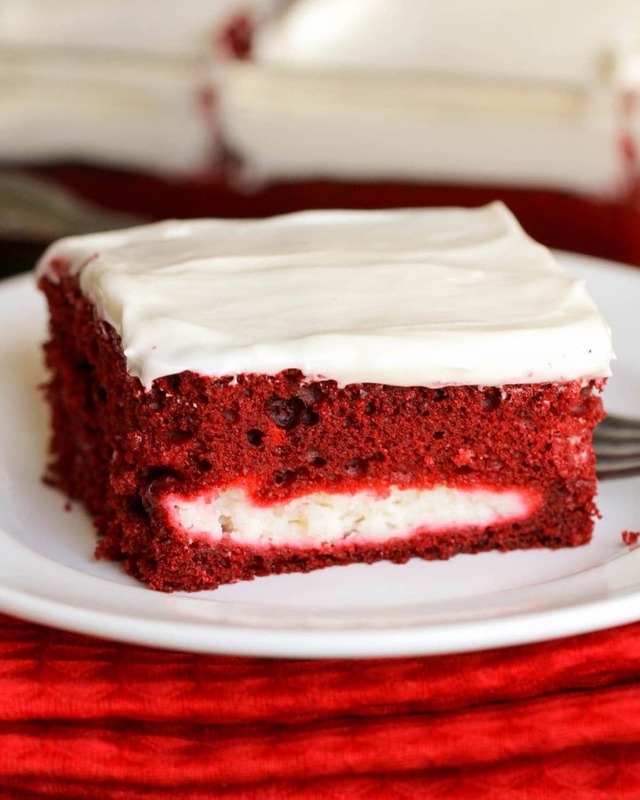 We have a Red Velvet Poke Cake that is more homemade, but this recipe has a short cut by using a box mix. 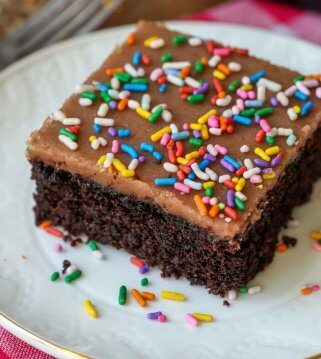 To make this cake, you will just follow the directions on the back of your cake mix and set aside. 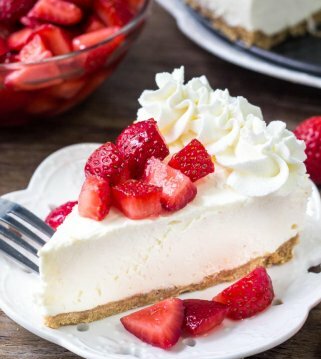 You will also make the cheesecake layer by mixing cream cheese, sugar and an egg white until well blended. Once you pour half the red velvet batter into a greased pan, you will take spoonfuls of this cream cheese mixture and drop it over the batter. Use a spoon to swirl this all over the batter. Then you will pour the other half of the cake batter over that and bake for 35-40 minutes. Let cool before frosting. 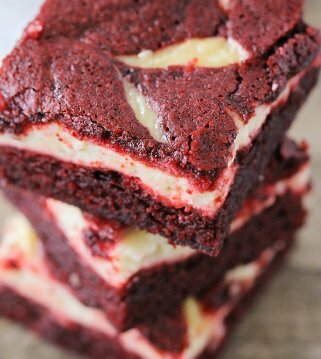 How to store red velvet cheesecake cake? This cake is stored best when covered and kept in the fridge for up to 5 days. With the cheesecake layer and cream cheese frosting, we do not recommend letting this stay out on the counter. Can you use canned frosting for this recipe? Yes, you can – but when in doubt, we always recommend going homemade. The homemade cream cheese frosting we made to go with this cake takes just a few minutes to put together and is literally the icing on the cake. It’s delish! 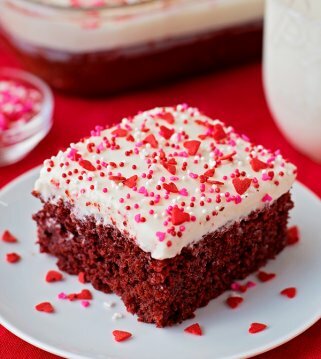 Make Red Velvet Cake Mix as directed on the back of the box. Set aside. Mix 8 oz. block of cream cheese, sugar and egg white in a separate bowl until well blended. 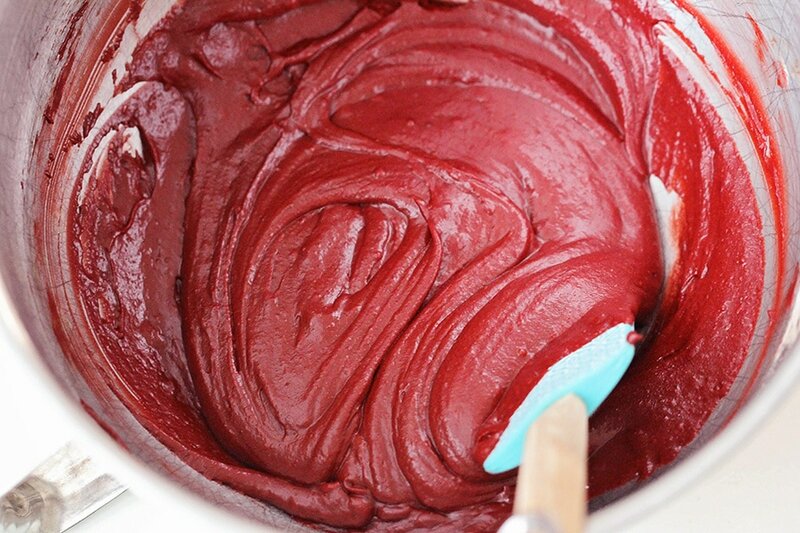 Pour half of the red velvet cake mix into a greased 9x13. Drop spoonfuls of cream cheese mixture over the red velvet cake mix. Swirl all over the batter. Pour the other half of the cake batter over this cream cheese layer. Bake for 35-40 minutes. Once baked, take out and let cool. For the frosting, mix cream cheese and butter until smooth. Add powdered sugar, vanilla and milk until smooth. Spread frosting over cake and enjoy! Recipe from Life as a Lofthouse. Delicious!! 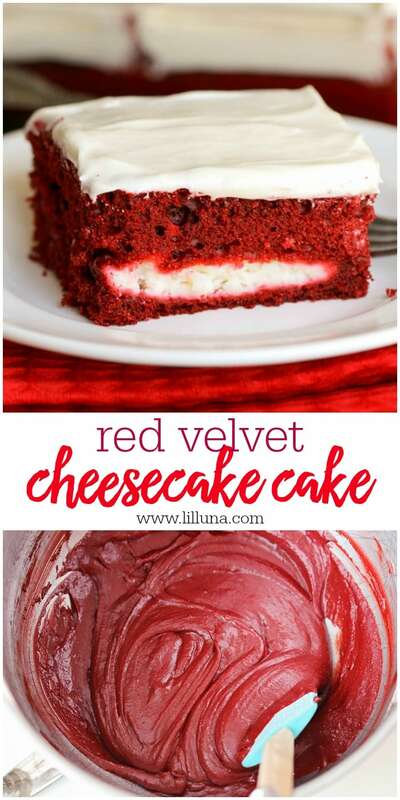 I love red velvet cake and cheesecake so this recipe is a win, win for me!! I love this cake! It’s gorgeous! I love this recipe. And your photography is gorgeous. Please consider linking this up at my first ever link party at The Patriotic Pam. Wow, this looks amazing. 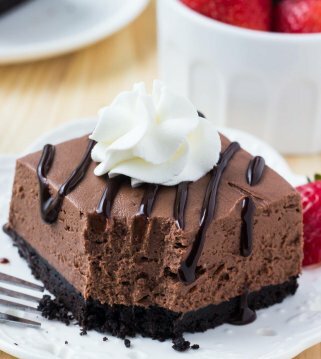 What a cool twist to add the cheesecake layer!